Scroll down for the Dual Pixel RAW discussion. Servo AF live view continuous shooting 4.3 frames/sec. 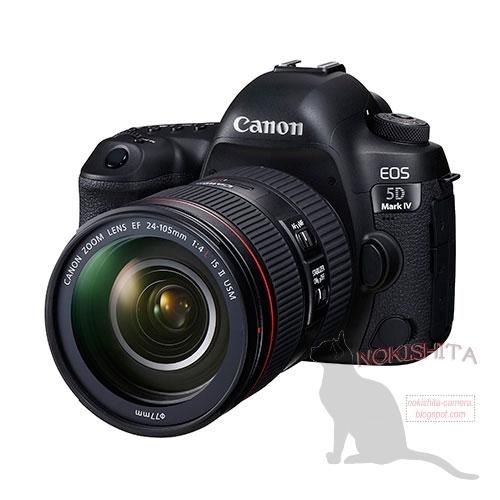 A more detailed specification list for the upcoming Canon EOS 5D Mark IV leaked at Nokishita Camera. Although the text is machine translated from Japanese, I think it is getting clearer what Dual Pixel RAW means and is for (the text in red above). My interpretation of what leaked so far is that Dual Pixel RAW is a technology that will allow for some focus adjustment in post-processing. This is something we know from light-field cameras like the Lytro. I think the text below leaves no doubt. For instance “normal image and the parallax information” makes me think there is more than one image that’s taken on more than one focus plane. And “by using the depth information, fine adjustment enables the position of the maximum sharpness” seems to point to the possibility to shift the focus in post-processing, as does “Bokeh Shift“. As far as I understand, the “focus post-processing” will be available in a new version of Canon’s Digital Photo Professional software. Well. Canon is going to set another technological milestone. Let me know what you think about Dual Pixel RAW, am I right with my interpretation?